The bathroom is a small, private area in your house. It may have limited space but that should not stop you from adding a creative touch to it. 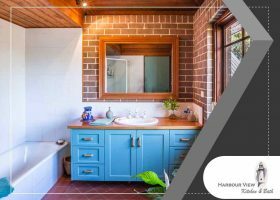 Harbour View Kitchen & Bath is here to provide tips on how to give your bathroom a timeless appeal with a vanity. Granite is one of the many materials used for kitchen and bathroom countertops. It has been a popular choice for many homeowners for years due to its high-end appearance and minimal upkeep. 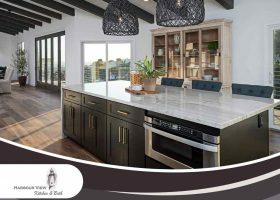 It is a worthwhile investment just like any other countertop materials available, which is why it is imperative that you do your research before making a decision. Gray is a versatile color scheme that can work in any room of your home, including your kitchen. Many homeowners, in fact, are doing away with traditional white and brown cabinetry in favor of this color. 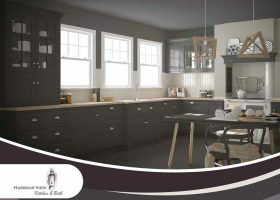 Gray kitchen cabinets give a warm, stylish and balanced look to your space. What Makes Cultured Marble a Great Countertop Material? Copyright © 2019 Harbour View Kitchen & Bath. All rights reserved.